Another guitar project that I just don't have the time for. 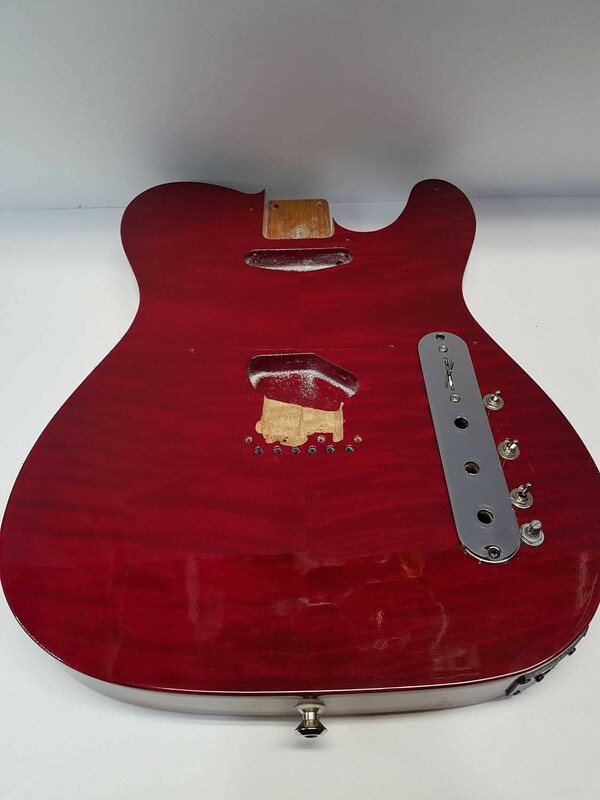 This was a project meant to be a Tele Style guitar with all the bells and whistles from Graphtech Hexaphonic and Acoustiphonic. All the routing has been done for the input jacks and the 11 pin jack. This is a project for someone that wants to continue what was originally meant to be or be creative and do something totally different. It's got a professional poly finish on it for ultra protection. The Back Cover is Clear. It's custom cut for that cavity. All routings are strict to Fender Routing. It is being sold AS IS. What you see in the photo is all included. The Actual Ghost System and Hexpander System by Graphtech is NOT included. We will leave the ribbon in there which is attached to the Pin Jack. It's for the Hexpander. I will even include the Tele Bridge in the picture. If you want a different finish let me know, Gold Chrome or Black.